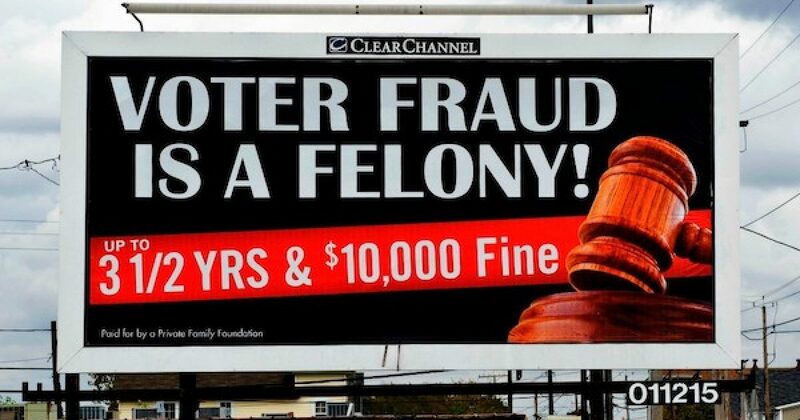 The Election Integrity Project of Judicial Watch — a Washington-based legal-watchdog group — analyzed data from the U.S. Census Bureau’s 2011–2015 American Community Survey and last month’s [July] statistics from the federal Election Assistance Commission. The latter included figures provided by 38 states. According to Judicial Watch, eleven states gave the EAC insufficient or questionable information. Pennsylvania’s legitimate numbers place it just below the over-registration threshold. Judicial Watch’s state-by-state results yielded 462 counties where the registration rate exceeded 100 percent. There were 3,551,760 more people registered to vote than adult U.S. citizens who inhabit these counties. Almost half of them are in one state (can you guess?). To put that in perspective the 3.5+ million is larger than twenty of the nation’s fifty states, or if it were a city, it would be the third largest city in America behind NY and LA. Given that not all adults in America have bothered to register to vote, the number of “ghost voters” is likely significantly more that 3.5 million. As states make some effort to clean voter rolls, individuals should make sure that their registration isn’t accidentally made inactive. Check our Voter Resources page for the link to check your voter registration status.